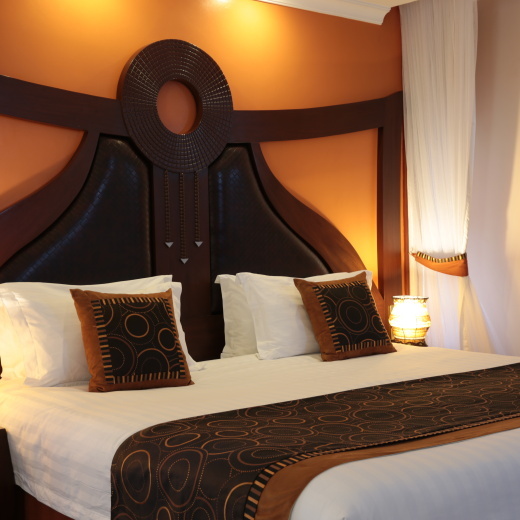 With lovely afro chic decor, these rooms house the signature Maasai necklace headboards that are copyright to Enashipai. Facing the picturesque fountain these rooms are guaranteed to wow even the most discerning traveller. With large picture windows offering views of the picturesque rock feature fountain these rooms are guaranteed to make your night out of town well worth it. Decked with afro chic decor all our rooms pamper you with upscale comforts and conveniences such as wireless internet, minibars and flat screen TVs with premium entertainment channels. Our bathrooms are elegant and spacious with some offering outdoor rain showers to give you an experience that is truly exceptional. 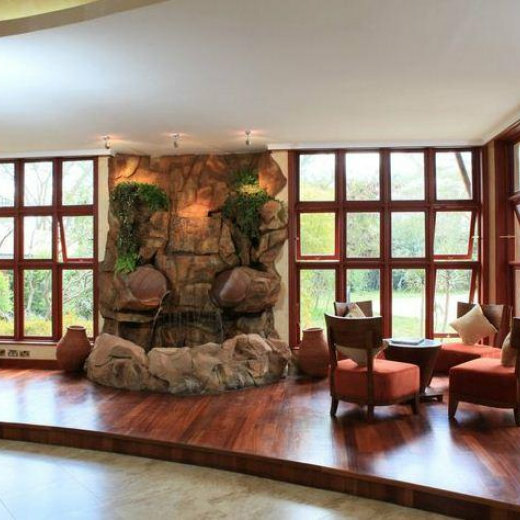 Located in Lake Naivasha, Enashipai Resort & Spa is where a strong local heritage and abundant nature is blended with pure luxury, and then delivered with a generous sense of warmth. Enashipai is a Maasai term meaning a state of happiness. 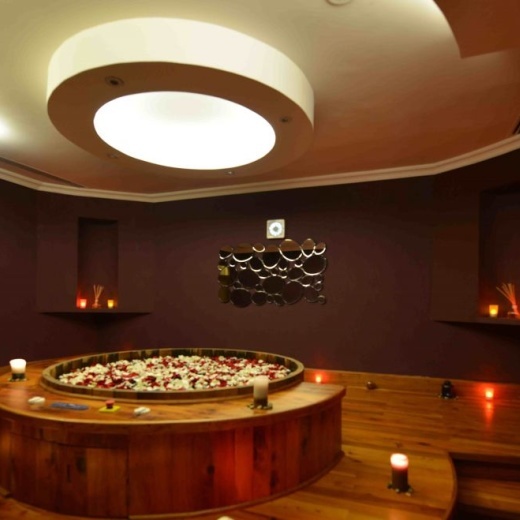 It is culturally rich, endowed with nature and historically decadent. There is a Kids Club where the little ones are entertained with the indoor play center/game room. The fitness center is equipped with modern strength building and cardio equipment plus an instructor to help you out when you need some motivation. A Pool Deck is ideal for a perfect break lounging away your time and sip away on a refreshing ‘cocktail’ as the day slowly slips by. Also available are tennis/basketball and volleyball courts, the Maasai Museum and a gift shop. The Resort’s main restaurant 'Senteo Restaurant' uses only the freshest seasonal ingredients to create a truly sensational menu. The 'Tepesi Bar' is unrivalled in Naivasha, the bar is classy, fully stocked and to top it all, a barman eager to serve your drinks just the way you like them from cocktails to shooters or just a simple cold beer. Kick back at the 'Lakeside Bar' (set-up on demand), a perfect setting for sundowners, great conversation and bonfire nights. While savoring the finest cuisine at the resort’s main restaurant, 'The Senteu'. The resort's professional chefs uses only the freshest seasonal ingredients to create a truly sensational menu. I think it would be a good idea for you guys to have at least one complementary drink per meal for guests on fullboard or halfboard. Otherwise the visit was quite good we enjoyed staying there. We had a very bad experience. The room had a musky closed-up smell and the water pump was making a lot of noise such that we could not sleep. Everything else was okay though. Everything was perfect. We had an amazing stay.